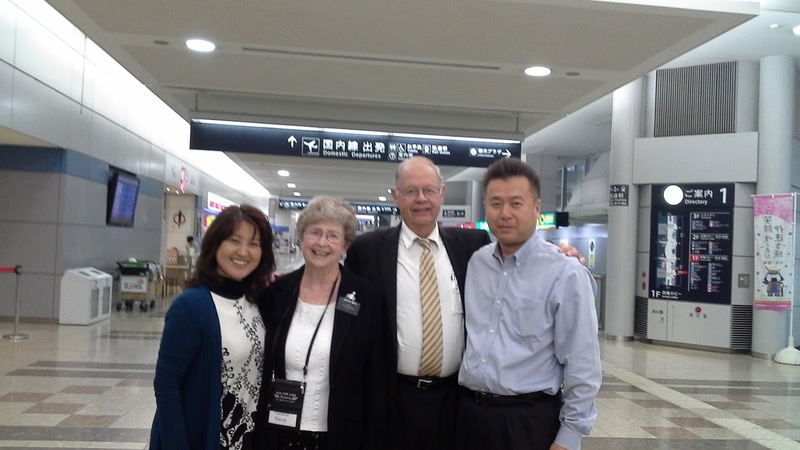 President and Sister Smith were in Korea this week for a mission president seminar. 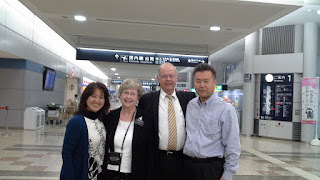 So, we had the opportunity to pick up Elder & Sister Smith at the airport on Tuesday. 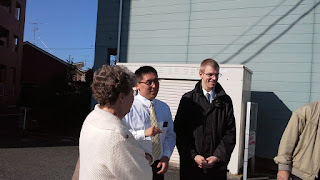 The Kusakas are in the Nagamachi Ward. 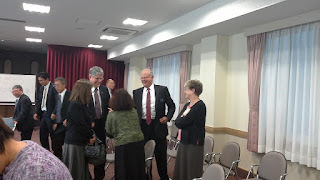 He was one of Elder Smith's missionaries in the Nagoya Mission. We discovered that the Smiths know our cousin Bill Hadfield who also served a mission in Japan. 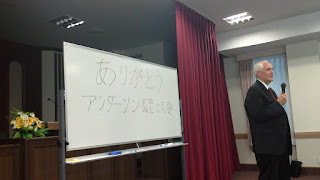 We went out to the Kakuda factory for English on Thursday. 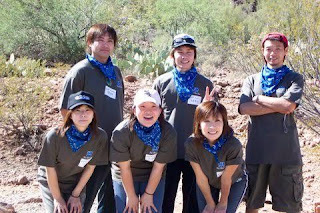 I had received an email from my neighbor back home and learned that she had worked at the Walbro office in Tucson a few years ago. She sent me this photo of some Japanese Walbro employees that came to Tucson in 2004 to see if I recognized any of them. 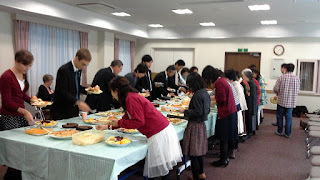 We did not recognize anyone, but I took a copy of the photo to ask around. 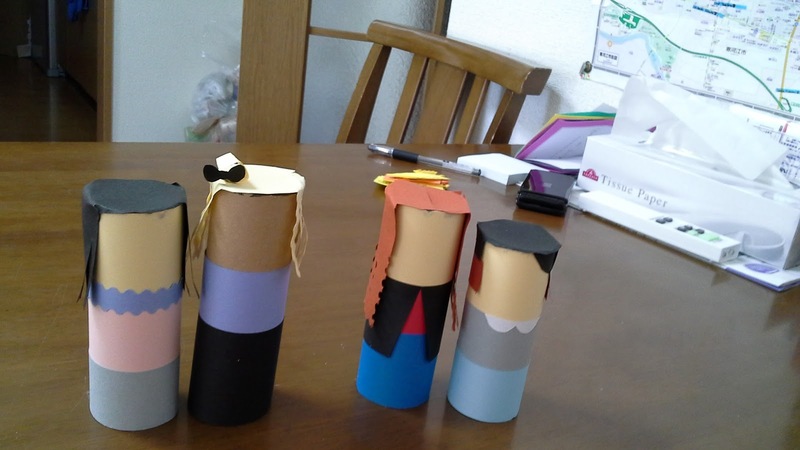 It turned out that some of them are from the Tokyo office, but one of them is from the Kakuda office. They found him and invited him to come and meet us. What a small world! He remembered his trip to Tucson. 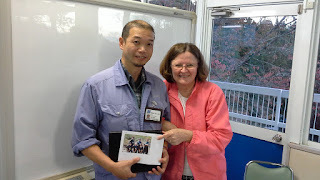 He said he also has this photo from 2004. They learned how to make salsa! They gave us some beautiful flowers! Even some of our friends that have not come to class for a while came to tell us goodbye! We took a little road trip to Yamagata on Friday to do some apartment inspections. This gave Elder Smith a chance to practice driving on the wrong side of the road. It's always exciting to ride with a new driver. 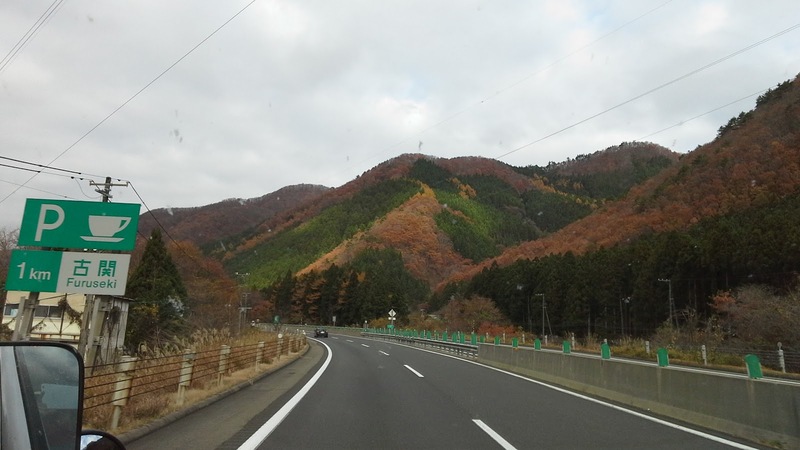 The fall colors were more lovely than the elder's apartment. 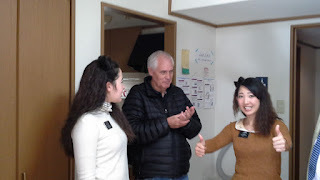 The elders were on splits, so we got to see one of our Arizona elders again. 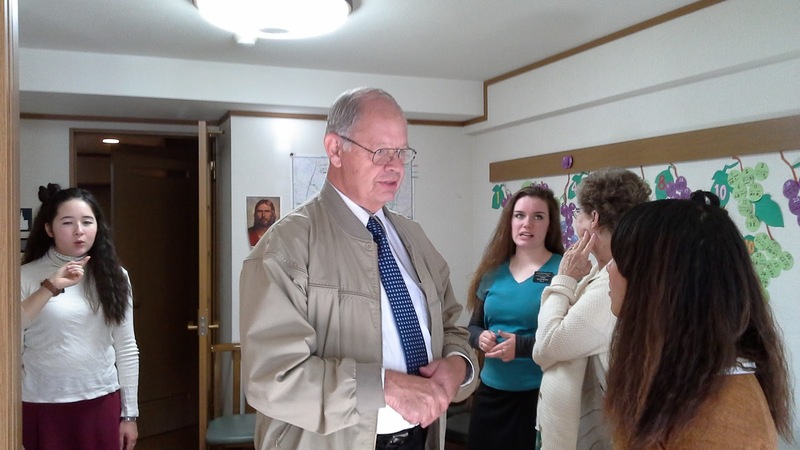 While we were there, the sisters needed some help with their lights, so the senior elders came to the rescue. And, we showed the Smiths how to get to Costco. They needed a "few" things to help get settled. On Saturday, the senior elders took another road trip to deliver some bikes to Morioka and Tagajo. The senior sisters decided to stay home and recover from the trip the previous day. 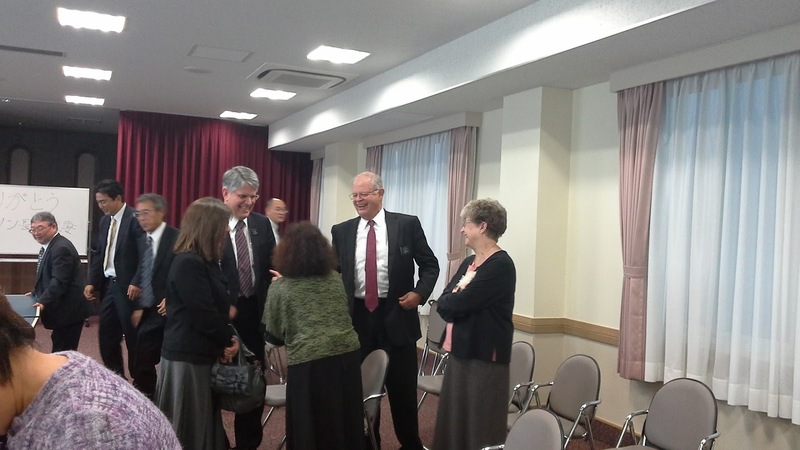 That evening, President and Sister Smith returned to Sendai. We all had a nice dinner together to welcome our new office couple. The Smiths lost a brother recently, so it was a tender reunion. 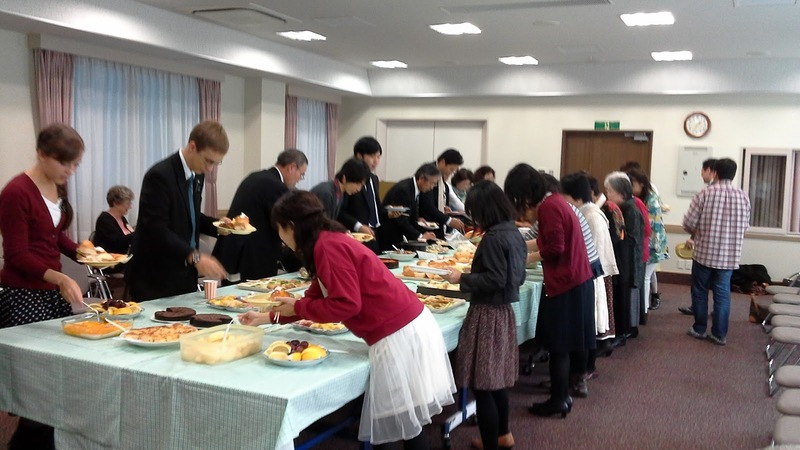 After church on Sunday, the Tagajo ward had a lunch. We were given another chance to tell our dear friends that we love them! Did you know that crying can give you a headache? Such sweet people. It's so fun to see the Smith brothers together! We had a couple more birthdays this week. The last birthdays in our family for the year. I love this picture of our Seth with Aunt Vonda! 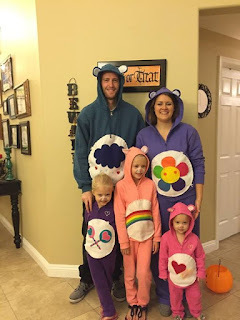 And Heather's husband, Nate (aka Grumpy Bear) also had a birthday. He's such a good daddy to our little girls. 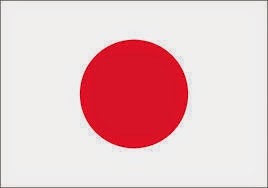 We need to get our stuff packed and see if we can get everything to fit because we have a plane to catch on Friday. 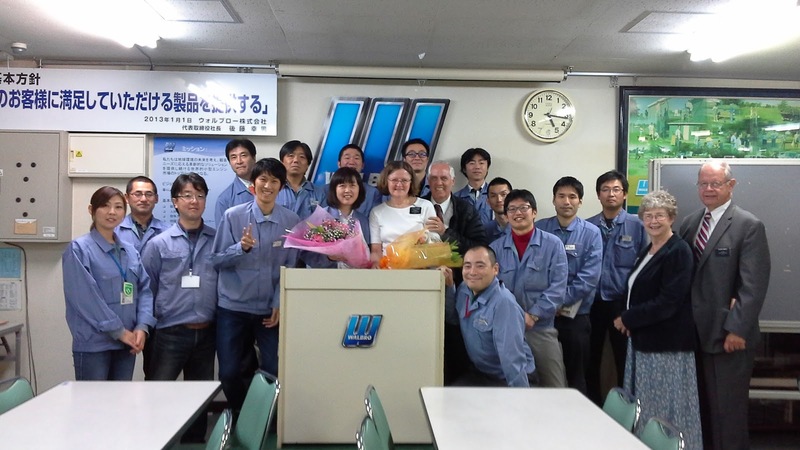 We have many special memories of our time in Sendai. Sayonara!